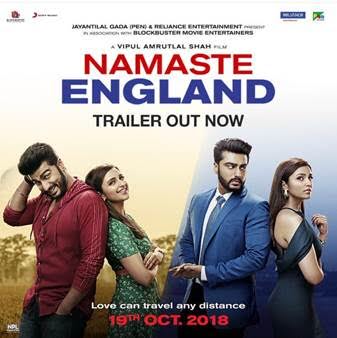 The trailer of Parineeti Chopra and Arjun Kapoor starrer Namaste England is finally out and it is all about the love story of two perfect people put in an imperfect situation. The trailer kick starts with the love story of Param (Arjun Kapoor) and Jasmeet (parineeti Chopra) in Punjab. They later get married but strenuous circumstances interrupt their lives as Jasmeet decides to leave India and moves to England for pursuing her dreams. Param then travels to England illegally, to find Jasmeet and make a better future. Check out the trailer for this Quintessential Bollywood Love Story,we can’t wait! Namaste England, which will reunite Parineeti Chopra and Arjun Kapoor on screen after six long years, will hit cinemas on 19th October 2018. This Dussehra, love will have no boundaries.